What is an Ohio Non-Disclosure Agreement? Ohio Non-Disclosure Agreement: What Is It? 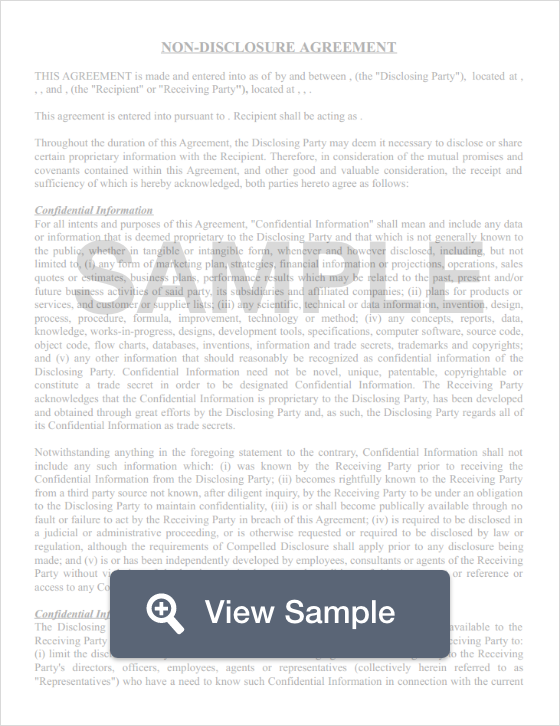 An Ohio non-disclosure agreement is known as a confidentiality agreement. The objective of an Ohio non-disclosure agreement is to legally bind employees or contractors to silence for a specific length of time in regards to business secrets. Ohio non-disclosure agreements should be carefully worded. Ohio’s Uniform Trade Secrets Act, Ohio. Rev. Code §§ 1333.61 through 1333.69, defines trade secrets and oversees the legal use of non-disclosure agreements. Ohio non-disclosure agreements refer to business secrets as “trade secrets.” To ensure that a business is truly able to protect the information, it’s important to understand the legal definition of the term “trade secret.” Ohio’s Uniform Trade Secrets Act defines a trade secret as full or partial information that is scientific or technical, a design, a process, a procedure, a formula, a pattern, a compilation, a program, a device, a method, a technique, an improvement, business information or plans, financial information, or a list of names, addresses, or phone numbers that has its own potential or actual monetary value. This value occurs because the information isn’t something known by the public or other businesses. The information cannot be so simple that another company could also develop and use the same information for their own financial gain. The company must also take reasonable steps to keep that information secret. The Ohio Uniform Trade Secrets Act also explains what can happen if someone threatens to or actually violates a signed NDA agreement. It’s also important to use an Ohio noncompete agreement to help protect the interests of the business.